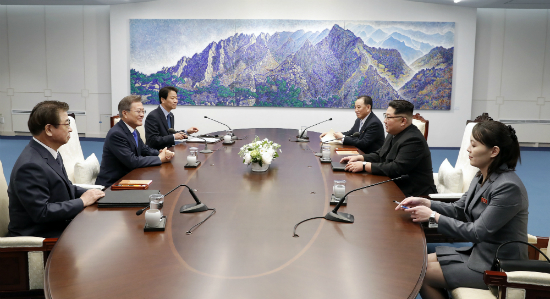 This special message by NIS Director Suh Hoon (left), who is considered the main player behind the scene of the 2018 South-North Inter-Korean Summit, has caught public attention. Short but resolute, it is a testimony to his faith in God. This message was introduced at the end of the sermon Rev. Kim Dong-ho posted on his Facebook page on May 1. Rev. Kim currently lives in the United States, and the sermon was for First Korean Baptist Church in Raleigh, North Carolina. 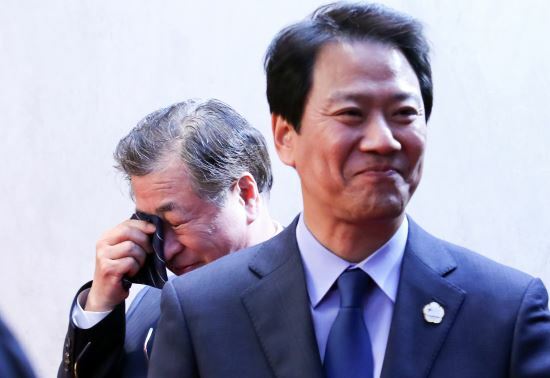 On April 27 at the House of Peace, the South-North summit site in Paju, Gyeonggi-do, the press broadcast the scene of NIS Director Suh wiping away tears when President Moon and Chairman Kim Jong Un had just finished reading the Panmunjom Declaration. Deeply moved by this sight, Rev. Kim also shed tears, and sent a message to Director Suh.